You see her walking down the aisle in front of the bride at weddings and walking around the party looking super cute. 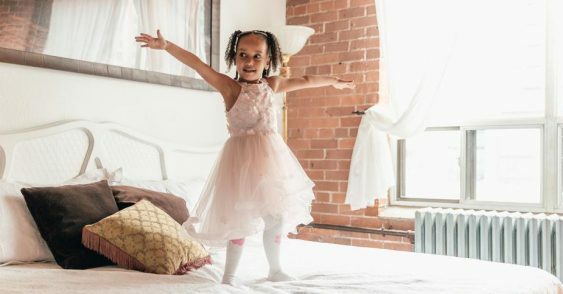 But now that you’re facing the choice of whether to have a flower girl at your wedding, you probably find yourself wondering what actually is the role of the flower girl?! Aside from looking cute in her pretty dress, is there anything else she is meant to do? What does a flower girl actually do? The main job of a flower girl is to walk down the aisle scattering flower petals, usually right before the maid/matron of honour and behind the ring bearer (if there is one). If throwing flower petals isn’t something you want at your wedding she can carry a variety of different decorative or fun items instead. Things like bubbles, a wand or a ball or basket of flowers work great too. If she’s a little nervous to walk up the aisle, she could even carry her favourite stuffed animal for a cute look! On the morning of the wedding you can decide with your flower girls’ mom whether she’d like to get ready with you and the rest of the bridesmaids. Depending on her age, it might make the day that much more special for her. Did you know that Grandma’s Little Darlings offers the greatest selection of flower girl dresses and ships daily across Canada and to your city! Flower girl or junior bridesmaid? You may have heard both terms in preparing for your wedding, and might feel confused about the difference between the titles. A flower girl is typically between the ages of 4 and 7 years old. She will precede the wedding party down the aisle, and lead the way for the bride. Often, she will toss flower petals or confetti. A junior bridesmaid is generally older, but not quite old enough to join in on some of the more mature activities that the bridesmaids take part in. She will wear a dress that fits with the other bridesmaids and walk with them in the procession down the aisle. Traditionally a flower girl would wear a mini replica of the brides’ or bridesmaid dress. With bridal dresses becoming more unique and progressive, this might not be the route you want to take. It’s also not necessary to go with a traditional all-white dress. She can wear a coloured sash or a dress with sparkles if that fits in with your theme. There are many different styles of flower girl dresses that you can choose from. From calf-length dresses with a bow to floor length gowns, you can choose a dress that will make her feel beautiful. As for jewelry, choose something simple and age appropriate. If you want to get her a gift, a pretty necklace is a great choice. Have a backup plan – After all of your preparation, she might still not perform when the time comes. Just know that your guests will find her behaviour cute, no matter what that looks like! While having a flower girl is optional, making the decision to have one might not feel easy. But rest assured, this is probably one of the easiest decisions you’ll make about your wedding day!